i just installed a new A/C canister on my 1973 mustang. It was working perfect and i decided to drive the car for a ballad . 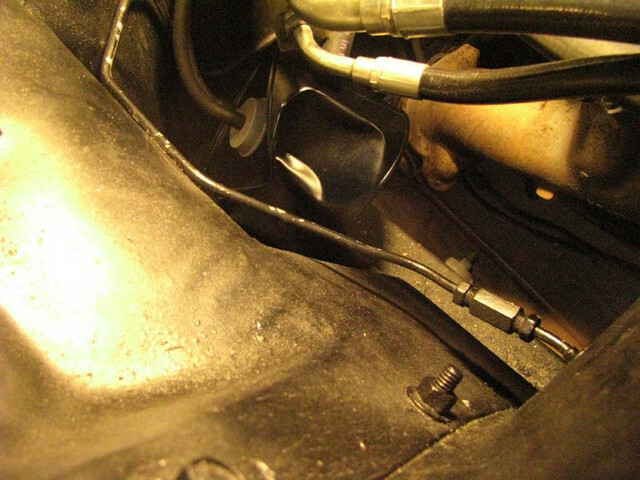 Then coming back home i opened the hood and i saw the new canister (while always working) in this shape (see picture) ! so now i would want to undertstand what could happen ? this part is expensive and if i buy again a new one i naturally do not want this to hapen a second time. What is your advice if somebody have one ? Thank you in advance for your answer. More vacuum than the cannister was built to handle, unless it was damaged (dented) when you got it. Must be a for show only piece. You can put some air pressure to it and probably get it back out again, but I wouldn't apply more than 15 psi to it. However, it is likely to happen again. I would contact the distributor or manufacturer and tell them that your vacuum cannister collapsed when just engine vacuum was applied to it. That is quite amazing you must have perfect vacuum system to do that. Like stated contact the seller. Have them do a vacuum test using a vacuum pump like used to bleed brakes with to verify the max vacuum it will stand. The system will probably keep working the can is like a storage unit to make the vacuum motors work on the heater / air box. It is like a vacuum accumulator. Hydraulic systems have the opposite to store hydraulic pressure. If they cannot do better you might try mixing up some epoxy and pour in and keep rotating while it hardens to give the side walls more strength. (09-11-2018, 08:29 AM)Don C Wrote: More vacuum than the cannister was built to handle, unless it was damaged (dented) when you got it. Must be a for show only piece. You can put some air pressure to it and probably get it back out again, but I wouldn't apply more than 15 psi to it. However, it is likely to happen again. Hello Don C and thank you for your answer, i did not intsall it dented but brand new. What is strange is that it is the canister sold for replacing the original one on Mustang 73' . I do not think it is for show only . But your explanation ( More vacuum than the cannister was built to handle) seems to be credible. In this case has somebody an idea where i can find a real good one ? Thank you again and best regards . (09-11-2018, 10:52 AM)Carolina_Mountain_Mustangs Wrote: That is quite amazing you must have perfect vacuum system to do that. Best regards from France . Unless you are trying to stay original I would check auto parts stores or wrecking yards in your vicinity. A lot of cars use them. I believe most newer ones are round and made of plastic. Ford used the same style for many years, so you might luck out, trying to find a used one.